My love affair with Apple began in the early 80’s when I wrote my first BASIC programs on the Apple IIe. My first Apple was a IIGS which I acquired by successfully talking my Dad out of purchasing a Mac Plus (Ahh, to be young and naive again). A steady stream of Macs followed. I made it through college using my trusty Mac Plus and after graduation migrated to a Performa 575. The Performa sustained me while working in pre-press for a successful Portland, OR advertising agency. In Portland, with the help of the local Mac User Group (PMUG), I quickly made friends with other Mac Geeks and officially joined the Cult of Macintosh. My career quickly moved from pre-press to IT services, while all along doing freelance web design and development under the name Terraform Creative. After and brief stint on the PMUG board of directors, I purchased a shiny new B&W G3, packed up my stuff and moved to San Diego to dry out. I began a new life as a Software Engineer and sought out new Mac Geeks in the San Diego Macintosh Users Group (SDMUG). I currently serve on the Board of Directors for SDMUG, as well as the Board of the San Diego Computer Society (SDCS). In August 2004, I discovered Podcasting and became instantly addicted. In early December 2004 I put out the first MacCast and I haven’t stopped since. I currently produce and publish the MacCast each week and I am having a great time doing it. 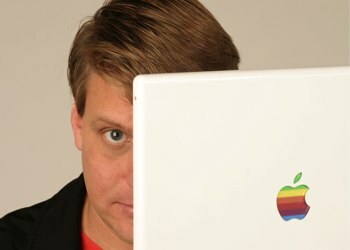 The Macintosh and the Mac community continue to amaze and inspire me and I am happy to be one of the crazy ones.